Crystal clear skin is just a convenience store away! A trip to Japan is now rendered unnecessary to get your hands on the lauded Kosé Sekkisui skincare products. 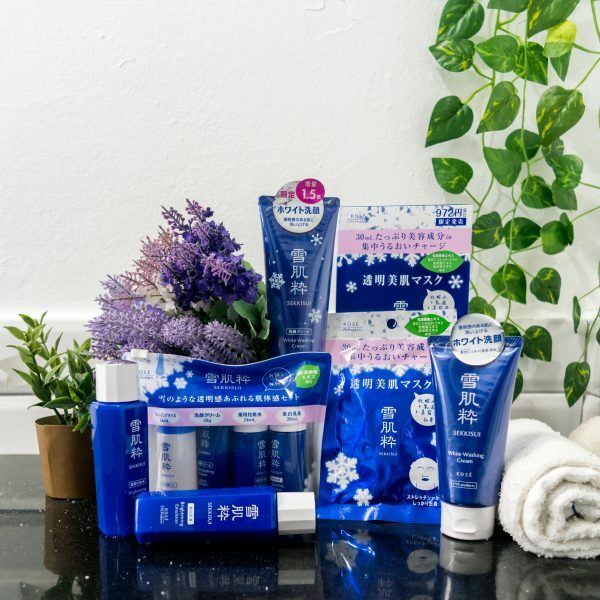 Created as a partnership between convenience store 7-Eleven and Japanese cosmetic brand Kosé, Kosé Sekkisui is a four-piece skincare collection that is made very affordable and accessible for all. This way, consumers can now look to the convenience store for not only satisfying their Slurpee cravings, but also get their skincare needs taken care of. What makes the products effective is the use of Japanese herbs and coix seeds extract to help revitalise and brighten the skin. And looking past its rather feminine packaging, the line claims to suit all skin types of both genders. Containing active ingredient, glycyrrhizinic acid derivative, this product prevents dryness. It is especially essential after tanning as it soothes away roughness to reveal silky, smooth skin.